April 16, 2018 -- If coffee drinkers are anxious these days, it’s not from overdoing the caffeine. Recent news about coffee’s potential for harm raised health concerns about the brewed beverage, which nearly two-thirds of Americans drink every day. At issue: Acrylamide, a chemical formed when coffee beans are roasted. The International Agency for Research on Cancer, part of the World Health Organization, says acrylamide “probably” causes cancer in humans. And late last month, a California judge ordered Starbucks and other coffee sellers throughout the state to post warnings about coffee’s potential link to cancer. 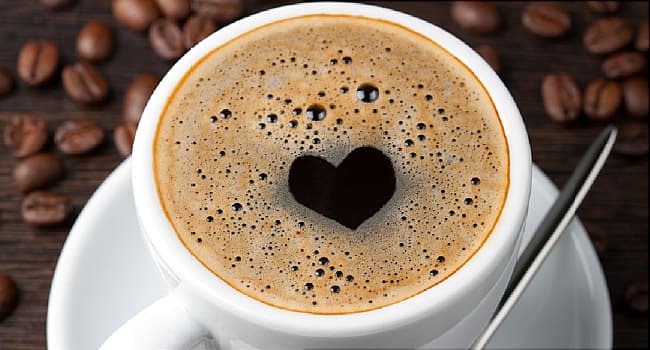 But days earlier, a study published in the Journal of the American Heart Association suggested coffee may help protect against heart disease. It was not the first study to suggest that coffee is good for the heart. In fact, coffee has been linked with numerous health benefits -- and a few health problems -- in many studies. And those potential benefits include a lower chance of having many types of cancer. Last summer, Giovannucci and colleagues published an “umbrella” review of coffee research. They evaluated and summarized the results from 127 previously published reviews on coffee’s links to 62 different health concerns, including cancer, heart disease, diabetes, and brain diseases like Parkinson’s and Alzheimer’s. Coffee drinkers, the study found, had significantly lower odds of having several cancers, including liver, prostate, and colon cancers. The risk of diabetes and Parkinson’s was 30% lower among coffee drinkers, and the risk of chronic liver disease was 65% lower. Death from heart disease and from heart attack also dropped for coffee drinkers. For many diseases, the more coffee you drink -- up to about four to five cups per day -- the more potential benefits. Guallar, a professor of epidemiology and medicine at the Johns Hopkins Bloomberg School of Public Health, has published his own research on coffee. 18% lower chance of cancer generally and less risk for many specific cancers, including prostate, melanoma and other skin cancers, leukemia, liver cancer, and more. The researchers did note an uptick in lung cancer among coffee drinkers. But the authors point out that some studies did not account for participants’ smoking habits. No higher risk was seen in nonsmokers. The review also revealed a higher risk of low birth weight and pregnancy loss among heavy coffee drinkers, who were also more likely to give birth prematurely. Other studies that have come out in the past 2 years or so have only added to what we know about coffee’s potential positives, says preventive medicine specialist Michael Roizen, MD. “For example, we now have more data supporting the point of view that there’s a 20% to 30% reduction in risk of type 2 diabetes if you drink three cups of coffee a day,” says Roizen, chief wellness officer at the Cleveland Clinic. He says much of what we know about coffee’s effect on human health comes from observational studies. Such studies can only show associations; they can’t find cause and effect. In other words, researchers may see that fewer coffee drinkers get certain cancers. But they can’t say with certainty that it’s the coffee itself that protects against cancer. But it does appear that the major potential benefits of coffee apply to a wide range of people. In a study published last August, researchers report that African-Americans, Latinos, native Hawaiians, and Japanese Americans had a 12% lower chance of an early death if they drank a single cup of coffee each day. Two to four cups lowered the chance of dying prematurely by 18%. They were also less likely to die from heart disease, cancer, diabetes, kidney disease, and chronic lower respiratory disease. Experts don’t know how to explain coffee’s apparent benefits, but they do have some theories. “Coffee contains hundreds of biologically active compounds, some of which have been shown in the lab to have anti-cancer activity,” says Marjorie Lynn McCullough, a registered dietitian and strategic director of nutritional epidemiology at the American Cancer Society. It’s debatable how much of a role caffeine plays in coffee’s arsenal of health benefits. Roizen estimates that it may account for as much as 50% of the positives, while Giovannucci says caffeine is likely not the primary beneficial compound in coffee, because decaf appears to have a similar impact. “There’s less data, but in general it seems decaf’s benefits are similar,” says Giovannucci. Caffeine does come with some risks, when consumed in large amounts -- about four cups of coffee or more per day. In addition to the jitters, overindulging in coffee can cause headaches, upset stomach, and insomnia. It’ll also send you to the toilet more than normal. Roizen says most people can tolerate moderate amounts of caffeine without undue side effects. But about 12% to 18% of the population have genes that make them what’s called “slow metabolizers” of caffeine. A single cup can cause them symptoms similar to those most people get after drinking coffee to excess. “Slow metabolizers get all the side effects,” Roizen says. Genetic testing can determine if you are a slow metabolizer, but there’s a simpler, cheaper way: Sip a 12-ounce cup of coffee over the course of about an hour. If you get a headache, nausea, abnormal heartbeat, or anxiety, you have your answer. Pregnant women should also be cautious about the number of caffeinated beverages, coffee or otherwise, that they drink. Limit your caffeine to less than 200 milligrams a day, or about 8 to 12 ounces of coffee, depending on how strong you like it. "It is the caffeine that drives associated risks for pregnant women," Roizen says. Like many other experts, McCullough says that coffee does not appear to raise the odds of having cancer. She acknowledges the presence of acrylamides, but she says plenty of foods have more acrylamides than coffee. High amounts of acrylamides have caused cancer in laboratory animals, says Giovannucci, but those animals received much higher doses than humans get from food, including from coffee. Experts agree that you should worry less about coffee and more about what you put into it. Roizen says that if you add calorie-dense cream and sugar, you may cancel out the good stuff. The bottom line: If you drink a moderate amount of coffee now, there’s no good reason to stop. For those who don’t drink coffee, don’t expect your doctor to recommend that you start. The evidence to support such a recommendation just isn’t there yet. Edward Giovannucci, MD, ScD, professor of nutrition, Harvard T.H. Chan School of Public Health, Boston. Eliseo Guallar, MD, professor of epidemiology and medicine, Johns Hopkins Bloomberg School of Public Health, Baltimore. Marjorie Lynn McCullough, ScD, registered dietitian; strategic director of nutritional epidemiology, American Cancer Society, Atlanta. Michael Roizen, MD, chief wellness officer, Cleveland Clinic.